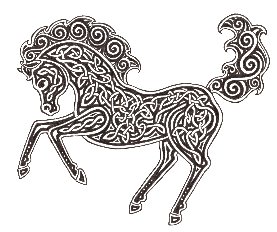 Niamh Chinn Óir mounted her white stallion to ride the warm, west wind. Her golden hair, wild and free as horse’s mane danced in gay abandon. This journey, fit for none other than she of the faery folk had not been made for centuries. Leaving Tír na nÓg far behind, she crossed the perilous ocean. What lover’s call had summoned her? What sweet voice carried on sea mist had entered her slumber? She would know his name. 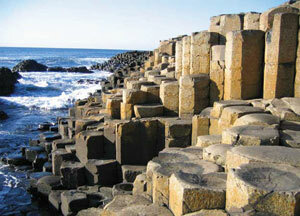 Oisín, son of Fionn mac Cumhaill sat on a rock gazing over the crashing sea. The young warrior bard paused from his labour, disturbed as he was by unquenched longing. 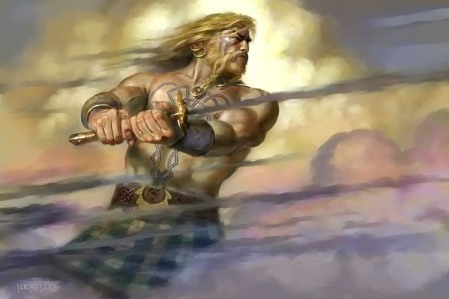 His father, fierce and wise chieftain of the Fianna had conquered the Scottish giant Cú Chulainn. Oisin was tasked to write the victory for posterity making it known to all those who were destined to belong to the future. A wind stirred his hair, just a whisper that carried sweet, unfathomable promise. He was lifted up into the air, dazzled by golden streams of sunlight. When his vision cleared, he looked upon the face of Niamh and knew the one for whom he had longed. She carried him across the sea to Tír na nÓg ~ land of Eternal Youth. The journey was the passing of a second. No mortal had ever crossed the perilous ocean to the edge of time, to the furthest, western-most reaches of the world where faery and mortal knew no distance or fear between them. She was his arbour; him, the conqueror of all he surveyed ~ prince of timelessness. But mortality is ruled by time. And soon the restless spirit summoned him to his father’s purpose. In his deepest heart he was of the blood-line race of Fianna and must return to Ireland to attend his kin. Niamh warned him of succumbing to his mortal destiny. “If you set foot on Irish soil, it will be your end.” Echoes of her warning called after him on the high-pitched voice of the ill wind that carried him home. In Oisín’s passing, contact with faery was lost forever. Niamh came no more to the Emerald Isle. Although I hear it told that her name lives still in some of Erin’s daughters. Wow, amazing reading. I really enjoyed this sooooo much, beautifully told, a work of art indeed. Thank You, Jennifer. My little story is tucked away, out of sight. I just had to tell it, as I feel so deeply connected to the name. The Hero. So many faces. A good take within an amazingly short story, well told. Many thanks! Indeed, The archetype of Hero runs through all our mythology with cultural differences that are usually quite telling. Certainly is…Thank you for your visit. We are Clare Clunes. And when I was named Niamh, I was the first of the time, as it was considered by The Church to be a pagan name. We had to have a special dispensation from the bishop!